What is the Use of Color Psychology in Cognitive Development Studies? Psychology can simply be defined as the specific discipline of study in which the main focuses of study are the concepts of the behavior and the mind. There are various branches of psychology. And one such important branch of psychology is that of the color psychology. Color psychology is known as the extensive study of the different hues and how those hues can have an effect on the behavior of an individual. The basic idea behind those extensive studies of the hues is the fact that color can influence perception in a way which might not be as easy to read as that of the taste of food. On the other hand, cognitive development is a concept of study which is shared by both psychology and neuroscience. In this concept of the study, the focus is completely on how a child can develop in terms of conceptual resources, information processing, language learning, perceptual skill, and many other aspects of cognitive psychology and the adult brain. In this academic writing piece, readers can find information about the field of color psychology, the concept of cognitive development, and how the concepts of color psychology can be used to aid the cognitive developmental studies. In this field, every single color effect is considered. There are also a few major concepts which every individual should know about this field. And those concepts are discussed in separate sections below. It was earlier believed that all human beings tend to process colors in a specific part of the brain. But this belief was thrown out of the window when a couple of years earlier, scientists at the Harvard Medical School used fMRI or Functional Magnetic Resonance Imaging to discover that there were actually multiple parts of the brain were used to make sense of the colors which were perceived by the individual. However, what those scientists found more astonishing was the fact that the information about the color was quickly moving from the color centers to the other areas of the brain which are responsible for detecting other kinds of information like about the shapes, the edges, transition, and other aspects to make sense of the world. This function was performed even in the brains of the individuals who were color blind. This clearly pointed to the fact that the concept of color effect was certainly more powerful than what was supposed earlier. There are also many other academic writing pieces which are written on this topic of color effect. 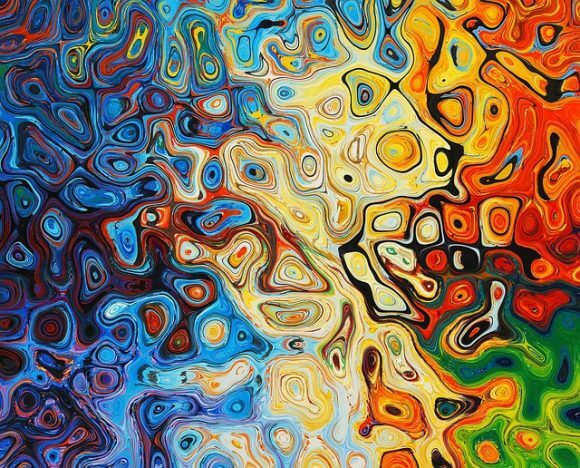 A number of cognitive developmental researches have pointed to the fact that color can actually aid an individual in the process of pattern recognition. This is one of the biggest uses of this field in cognitive developmental studies. And according to one of those researches which were conducted in 2002, it was found that individuals tend to perform better on pattern recognition tests when colorful patterns were shown instead of the black and white ones. This color effect can actually help scientists from all across the world to find out about the different ways through which memory can boost with the help of colors. There have also been a number of academic writing pieces which are written on this topic. This is also one of the most important cognitive development studies which were conducted by scientists to find out the use of the principles of this field of psychology. And according to those studies, it was found that when individuals tend to look at familiar objects then those individuals tend to fill in the colors of those familiar objects even if the image might be black and white. This can help a number of learners to recognize colors and patterns. If readers wish to find out more information about this topic then various academic writing pieces can be referred. This is one of the most famous studies which were done in this field. There are a number of academic writing pieces which are written on this study. And in these studies, the concept of color effect was studied more closely. There were different observations which were made for different colors. And those different observations about the colors are mentioned below. Apart from these colors, observations were made about many other colors too. And to learn about those colors readers can go through other academic pieces. There are also a number of different ways in which the field of color psychology can have an effect on the cognitive development of a child. And some of those effects are mentioned below. Children of 3 to 6 months can start recognizing colors. And introducing bright colors to the child’s environment can improve the brain stimulation of that child. This can help the child in the development of his or her brain. It has widely been agreed by psychologists that it is extremely important for children to have a safe and positive environment for their cognitive growth. And colors are one of those tools which can help parents or guardians from providing their children with just that kind of environment. For successful cognitive development, it is important for children to develop color recognition skills. And to achieve that, it is suggested that parents and guardians should introduce bright and contrasting colors to the environment of the child. This can provide the child with sufficient practice to develop better color recognition skills. This is also an important color effect. Color psychology is defined as the field in which the focus is on the study of the different hues and how those hues can have an effect on the behavior and the mind of an individual. On the other hand, cognitive development is a concept in which the focus is on how children develop in terms of their perceptual skills, information processing, language learning, and many other sills and tasks. There are a number of studies which have been conducted on the topics of color effect and cognitive development. There are also a number of applications or methods which have been developed to aid in the cognitive developmental procedure of children. According to studies, those methods have been rather effective. There are also a number of different academic writing pieces which have been written on this topic. So, if any reader wishes to learn more about these topics in the field of psychology or neuroscience then it is suggested that the reader should go through those academic pieces.